Having grown up in the South, I quickly learned that getting the final word in an argument is as easy as starting a sentence with "Bless your heart." Up there on that level, too, is the fake sweet, condescending address, "honey." As in, "Oh honey, what's all the fuss about?" That's the smirk of a lyric that punctuates the end of every verse in Neighbor Lady's "Oh Honey," their latest single from Maybe Later, a forthcoming LP. 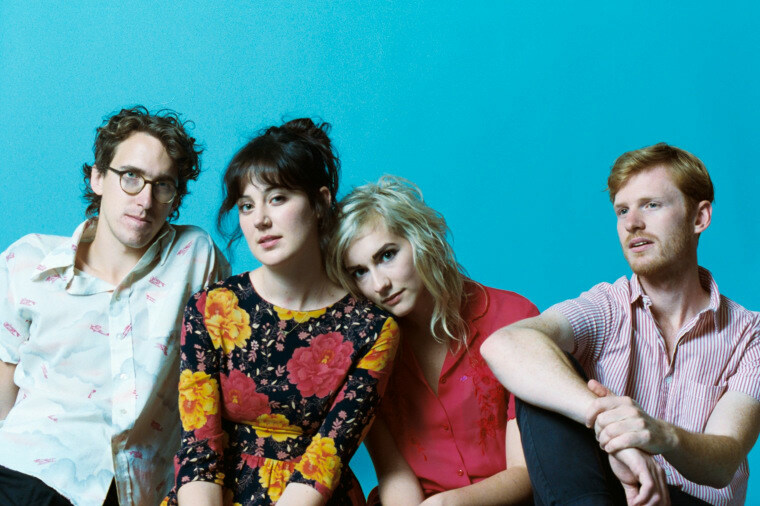 No doubt the indie-rock band's birthplace, Atlanta, Georgia had a strong hand in coloring the faux sentiments that saturate the track, which The FADER is premiering today, along with the video. It's a bright lil' tune with steel guitar and a light lo-fi coating, but the highlight is the rubber band twang in lead singer Emily Braden's voice, which changes her sharp words into something easier to swallow. "'Oh Honey' is about a rift between a friend and I," Braden writes of the song via email. "We both had an interest in the same man, which she was very vocal about and I kept to myself. Nothing came of it at the time and she moved away, got a new job and found love. Later, I began dating this man [and] felt so happy and fulfilled. But when I shared this with her it caused a huge argument and we didn’t speak for months. She was such a close friend that this break was so miserable even though we had both found happiness in our distant lives." Listen above. Maybe Later comes out 5/11 on Friendship Fever.